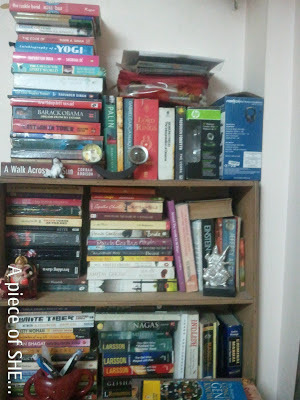 A piece of SHE ...: Books I Read In 2012. Books I Read In 2012. My goal is to read at least 50 books in 2013. Do you love reading ? Let me know the best and worst books you read in 2012. I like your list! I hear Paulo Coelho's By The River Piedra I Sat Down And Wept is a great read! Thanks, Jude! If you like Paulo Coelho,then you may enjoy reading “By the river Piedra….”It's about love and taking risk in love and life. I love reading too, but your list is very, very impressive. One of my favorite authors is Nicholas Sparks! I really do have to get my game back on with my reading! Thanks for sharing! Happy New Year! I love to read also :) That is a very long list! Happy New Year! Now you gave me some good inspiration for my leisure lecture! I love when people write about books. I always start but can never finish most books. My favorite book I've read this year was Ava Gardners Autobiograpphy and Hunger Games lol. I know, random.